In addition to being a free-lance journalist whose articles have been published by RedState, Patriot Update, The Blacksphere and others, Candice is a computer consultant and antiques dealer. 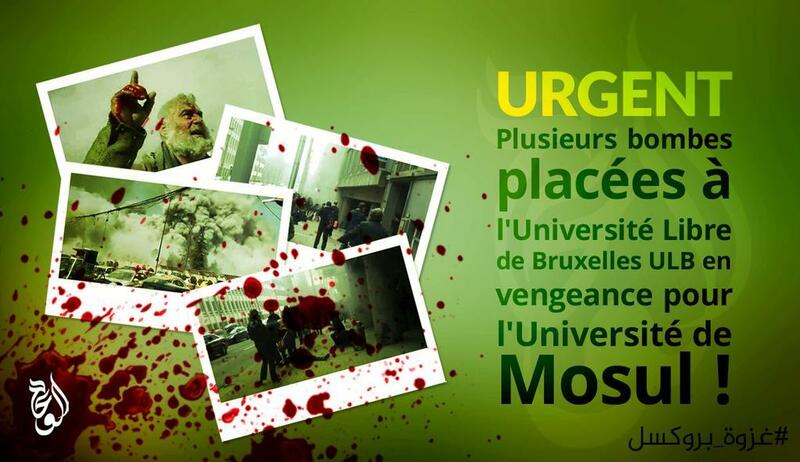 Jihadist poster issuing a threat to a university in Brussels. On September 22, a terror plot against Université libre de Bruxelles, in Belgium, was prevented due to intel uncovered by GhostSec, an online counterterrorism unit which has been instrumental in thwarting terror attacks in the past. GhostSec recently merged with BlackOps Cyber (BOC), an intel agency which provides a wide range services including intel collection, darknet operations, threat analysis, monitoring of threat actors and counterterrorism services. The threat emanated from a jihadist account on Twitter. According to BOC, the threats were discovered in a series of tweets and revealed an imminent plan to carry out an attack on the university in Brussels. From prior intel collected, BOC operatives knew Brussels had a high probability of being attacked again, as the city is often mentioned in jihadist communications. 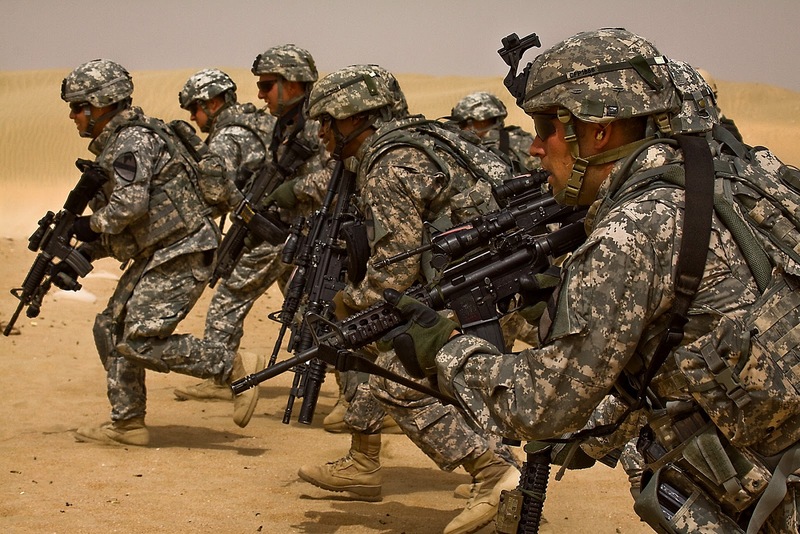 During the Obama administration’s tenure, there has been increasing unease regarding the military’s ability to counter terrorism and address situations developing in countries such as North Korea and China, if necessary. Most recently, Rep. Michael Turner (R-OH), a senior member on the Oversight and Government Reform Committee and Subcommittee Chairman of the Armed Services Committee, has grave concerns. “President Obama, with his plan of sequestration, has really hollowed out our military,” he told radio host John Catsimatidis on AM 970 New York. “We’ve seen our military readiness, the capabilities of our military, decline significantly,” Turner said. "Eight area residents formed two companies and purchased 120 lots on 10 Pontiac city blocks west of Woodward near Franklin to build the new homes. Social media users have been showing support for the victims of the Umpqua Community College mass shooting via social media. Following the attack, reports began to surface that gunman, Christopher Harper-Mercer, specifically targeted Christians. The grandmother of one of the shooting victims said her granddaughter told her the gunman was singling out students who said they were Christian. Janet Willis explained that her granddaughter, Anastasia Boylan, was in the classroom when the shooter opened fire. Willis said she was told the shooter was questioning students in regard to their faith. "If they said they were Christian, he shot them in the head," Willis said. Prior to entering the 2016 presidential race, and momentarily afterward, Scott Walker was considered to be one of the most promising Republican contenders for the White House. Popular with conservatives, Walker boasted a record of conservative reforms in Wisconsin. And, following the Iowa Freedom Summit, in January, Walker soared to the top of the polls and remained there for several months. A couple months into the launch of his presidential campaign, however, Walker began plummeting in the polls. What led to his decline? The Rise of Donald Trump - Walker’s poll numbers began to fall at the same time that Trump's began to rise. But, while other candidates were also negatively impacted by Trump’s rise in the polls, Walker fell the furthest. The First GOP Debate - Walker failed to impress during the first GOP debate. It wasn’t so much what he said--it was his inability to stand out in the debate. Positioned right next to Trump, to many viewers he appeared overly cautious, with answers that sounded scripted and lacking in conviction. Unclear Positions - For example, Walker recently came out in opposition to the US accepting more Syrian refugees. But, prior to that Walker had dismissed the issue as irrelevant because he's not the president. 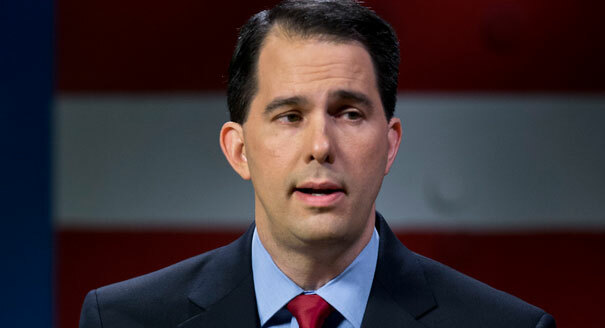 Immigration - Walker has also been criticized for appearing to echo Trump in regard to supporting ending birthright citizenship, but later took “a total of three positions –- before concluding to ABC News' George Stephanopoulos that 'no,' he isn’t calling for a constitutional amendment to end birthright citizenship. Then, in responding to a question from NBC’s Chuck Todd on the concept of building a wall on the northern U.S. border with Canada, Walker said it was a 'legitimate' issue worth reviewing. In the days that followed, Walker had to clarify his response and said that he wasn’t talking about building a wall but was instead referring to the idea of increased federal personnel to support local law enforcement along the northern border." What Are You Willing To Do To Prevent Another 9/11? Earlier this year, in April, ISIS released a propaganda video which warned that America will burn again in another 9/11. It was also chillingly communicated that there is "no safety for any American on the globe". The video, entitled “We Will Burn America,” was a call to arms to its supporters, rallying them to conduct these attacks. Twenty-one year old Junaid Hussain, the notorious ISIS hacker from Birmingham, UK who masterminded the terrorist group’s online war, was killed in a US drone strike earlier this week. Hussain is also linked to the Garland, Texas, draw Mohammed attack. Number three on a Pentagon kill-list, only Jihadi John and ISIS leader al-Baghdadi are higher value targets. In April, 2012, in the same state in which Dylann Roof allegedly shot and killed nine members of Emanuel African Methodist Episcopal Church, a churchgoer in a church near Spartanburg, SC saved the lives of fellow worshipers after a man kicked in the door, while brandishing a shotgun. The Rev. Aaron Guyton held the armed intruder at gunpoint, while two other church members, Jesse Smith and Leland Powers, pinned him down to the floor until deputies arrived. Rev. Guyton recalls stepping onto a chair and climbing down a 3-foot bannister which enveloped the pulpit, at which point he was able to wrest the shotgun from the offender, Jesse Gates.